Charlwood design’s concept for the Kings Way entrance to Melbourne is a sustainable vision of the future. 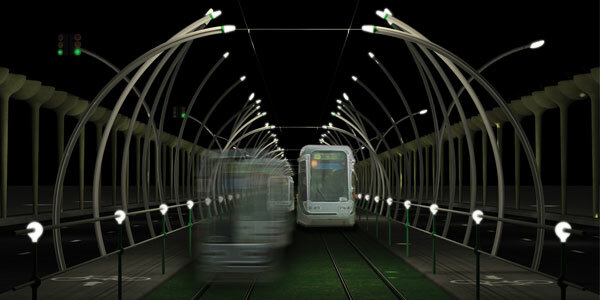 It would create both an illuminated sculpture and functional transport corridor out of the street infrastructure elements. The design incorporates solar panels and water storage into 200 vast water towers. 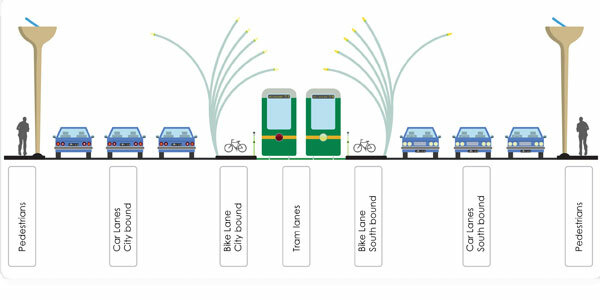 This proposed re-development allows cyclists, pedestrians, cars trucks and trams to all use the through-fare safely and conveniently. The two multi-lane dual direction bike ‘high-way’ will encourage more city users to use bicycling as a form of transport as they can feel safe and protected from the traffic.